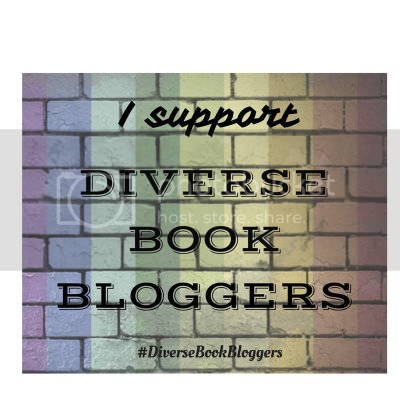 Bookish Bloggers Unite is a weekly event hosted by a variety of bookish blogger friends who decided to share some love each week. Feel free to participate if you want! This week’s theme is books for each season, so each participating blogger is posting a recommendation for each season of the year. For me, it’s getting close to summer, so that was on my brain & I was hosting this week–but it’s not summer for everyone, so this seemed a fun theme! Here goes! I am so excited for summer. Summer for me this year will consist of packing and moving and unpacking and getting settled in a new city (my hometown–which is also in a different state), so it’ll be pretty busy–but I’m still hopeful to get some good reads in. My summer recommendation is Big Little Lies by Liane Moriarty. It’s an easy, fast-paced read. At times, it’s a bit soap-y, but it covers a lot of really big and serious issues, while still managing to be (darkly) funny at times. Trigger warnings for sexual assault & domestic violence. Fall for me always means heading back to teaching for the school year. Thinking of school puts me into thinking about books (moreso than usual) and when I think about books about books, my absolute favorite is The Eyre Affair by Jasper Fforde. It’s set in an alternate history England, where the Crimean War has not yet ended, dodo birds have been genetically engineered & brought back as pets, and literature is so important that there’s a special law enforcement agency dedicated to it and militant factions fighting over who authored Shakespeare’s plays. It’s sooooo funny & I love the story as it develops for Thursday Next, who works for said law enforcement, and then discovers she can jump into books and has to track down Jane Eyre, who’s been kidnapped into the real world. One of my absolute favorites of all time! Winter is a time when you have a lot of time to read in my mind, because it’s so darn cold in most places that you just want to curl up with a book. Since you have more time to read if you’re in a wintry locale, I wanted to think of a thicker book that will keep you invested. For this season, I recommend A Darker Shade of Magic by V. E. Schwab. This book (the first in a series) opens up a whole world of Londons and a magical boy who can travel between them–and of course, gets himself into some trouble. The characters are amazing and real, and I just absolutely loved this book. Bonus, all of the books in the series are currently out–and the author is eventually releasing a new series set in the same world! Spring is a time when romance is in the air, and that’s what it makes me think of. I’ve recently gotten back in to reading romance, and the one I’m going to recommend is a little on the heavier side, but does a good job balancing the love story with the very real social issues it portrays. This book is An Extraordinary Union by Alyssa Cole. Set during the Civil War, it follows Elle, who is a previously freed black woman working as a spy for the Union. She goes undercover as a slave, and encounters Malcolm McCall, a Pinkerton detective also undercover. Romance blossoms, but slowly and not without very real issues arising. While on the heavier side of romance, I still really loved this one and look forward to reading the rest of the series. Those are my recommendations for each season! Have you read any?? What would you recommend (especially for summer)? Let me know in the comments & feel free to link up if you wish! Great list. I love A Darker Shade of Magic and An Extraordinary Union is high on my TBR! Oooh. This is challenging! I don’t really tend to think of my reading as seasonal… Hm. I tend to like chick-lit and fluffy books in the summer. I’ll pick The Little Lady Society for Summer. For Fall I tend to lean towards darker, creepier reads. I’ll pick A Handmaid’s Tale. Pretty terrifying for me! Winter I need something exciting to keep me engaged. YA Sci-Fi and Fantasy typically fits the bill here– how about The Lunar Chronicles? I could more or less read the whole series in one weekend. Which leads me to Spring. Let’s go with historical fiction here. The Killer Angels comes top of mind just because I want an excuse to re-read it. I know, right?! It’s a little on the dark side, but still feels fluffy I guess. Previous Previous post: Bout of Books 22 Progress!